Motorcycle Accidents We Provide Tailored And Innovative Solutions. Motorcyclists are more vulnerable to injury from accidents when compared with car drivers and other road users. Several factors contribute to this: their exposed position, the lack of safety features inherent on a motorcycle, the stability of the motorcycle and, at times, their lack of visibility. If you have been involved in a motorcycle accident in the last three years, as a driver or passenger, contact the expert personal injury solicitors at Miller Samuel Hill Brown for advice today. Right-hand turns: the single most dangerous situation for motorcyclists occurs when cars are making right-hand turns. These collisions account for the majority of accidents involving a motorcycle and car. Usually, the turning car strikes the motorcyclist when going straight through a junction or passing another car. Changing lanes: another common cause of accidents involving a car and motorcyclist arises when a car changes lane, veering into the space occupied by the motorcyclist. Motorcycles can easily fit into a driver’s blind spots and a driver looking for cars may not think to also look for motorcyclists. Collisions from behind: although not as frequent, motorcyclists stopped at junctions and roundabouts may not be seen by other motorists and are vulnerable to being hit from behind. There is little a motorcyclist can do to avoid such an accident occurring. Motorcycles are also more vulnerable to the conditions on the road. Potholes, ice, loose gravel and debris are hazardous to motorcyclists to a greater extent than for cars and other road users. Due to the smaller size and less stable nature of the motorcycle, faults in the road surface, uneven heights between lanes, and other irregularities or unexpected objects in the road pose a serious safety threat to motorcyclists. While accounting for a minority of traffic, motorcyclists account for a significant proportion of road traffic accidents. Not only are motorcyclists more vulnerable to injury when compared with car drivers and passengers, the injuries they suffer tend to be more serious. As such, motorcycle injury claims often achieve higher levels of compensation and require a greater level of expertise compared with other road traffic accident claims. If you have been involved in a motorcycle road traffic accident in the last three years that was caused by the negligence of another road user or was a result of dangerous road conditions, you may be able to make a claim against the individual, company or local authority at fault. As well as compensation for your injuries you may be able to seek compensation for damage to your bike or other possessions, loss of earnings arising from the injury and any care or medical rehabilitation you require. 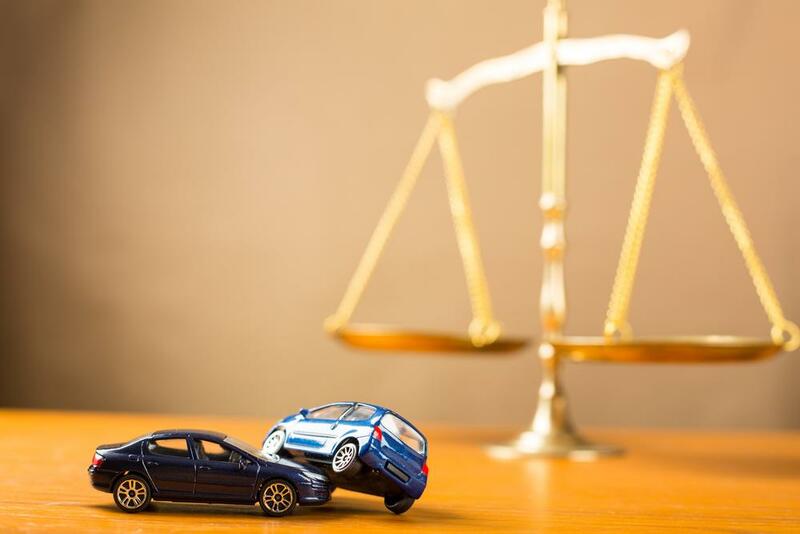 Compensation after an accident that was not your fault can help with your recovery, provide answers to what went wrong and allow you to move on from the incident. Contact Miller Samuel Hill Brown’s personal injury solicitors for expert advice today. Our lawyers offer a personalised approach: we will meet with you to discuss your case and guide you through the process of making a claim. You will be appointed a dedicated personal injury solicitor and claim handler who will be your point of contact as we progress your claim. Our comprehensive fee structure means that there will be no hidden charges or unexpected expenses. Getting you back to your normal life is our priority and making a claim can be a straightforward process with the guidance and expertise offered by our solicitors. A motorcycle accident can be a distressing and life changing experience, as such, being able to rely on legal professionals to help you achieve the compensation you deserve provides peace of mind for you and your loved ones. Contact our expert personal injury solicitors in Glasgow today on 0141 221 1919 or complete our online enquiry form.